It is a 44mm, rose gold case, screw down crown, with date and new Ulysse Nardin in house movement with a 42 hour power reserve indicator. 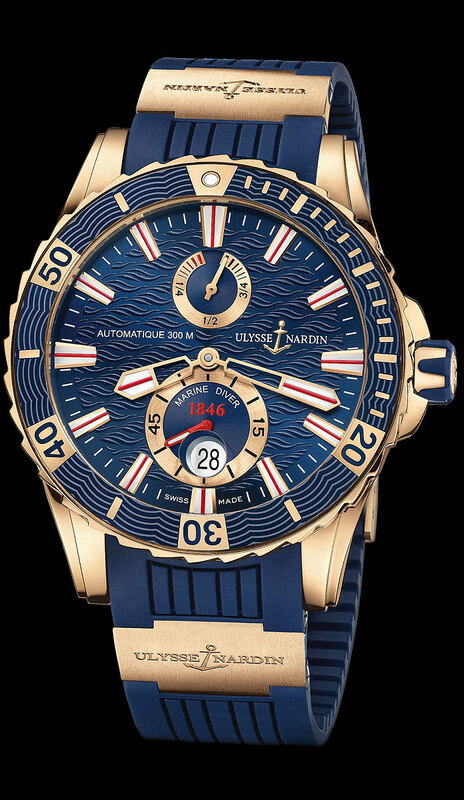 It features a new blue color dial etched with blue waves, and a solid rose gold case back engraved with “”CONQUER THE OCEAN” and image of a sail boat. It is available on a matching blue rubber strap, and rose gold folding buckle. Join us on Instagram. We’d love to have you!